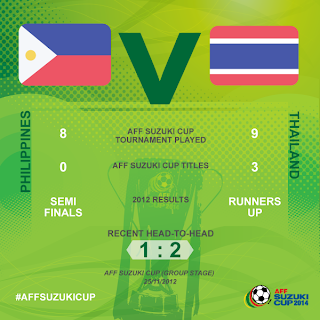 AFF Suzuki Cup 2014 semifinals - Azkals vs Thailand 1st leg - has just happened at the Azkals' home court, the Rizal Memorial Stadium. Live blog updates and results of the game, which was aired via ABS-CBN Sports+Action, have been posted below. While our kababayans in Samar and Leyte were facing one dangerous battle against Typhoon 'Ruby', the Philippine Azkals were battling against Thailand right at that very moment. 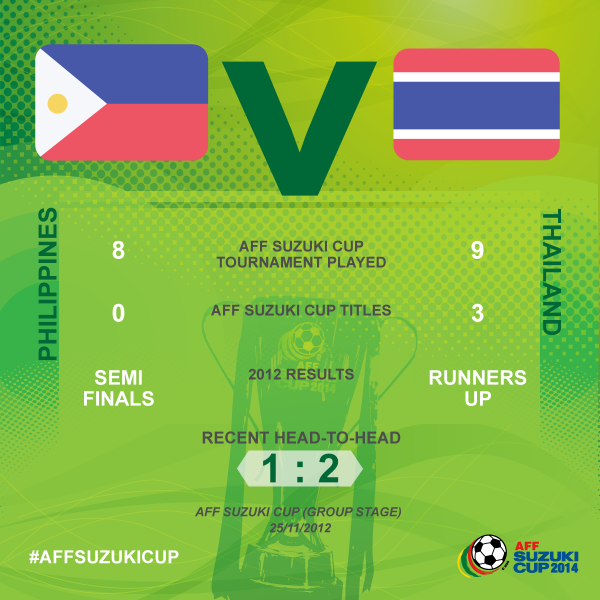 In the above head-to-head comparison, which was posted via @affsuzukicup, Thailand was the obvious stronger team before its game against the Azkals. They have already won 3 AFF Suzuki Cup championship titles out of the 9 times they played in the tournament, as against the Azkals' 0/8 record. So how did their first of the home-and-away games turn out? 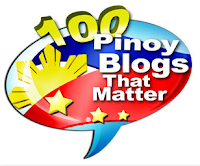 Did the Azkals pull an upset? Sarach Yooyen, Tanaboon Kesarat, Chanathip Songkrasin, Kirati Keawsombut, Kroekrit Thaweekarn and Peerapat Notchaiya. At half-time, both teams still goal-less. That just means the Azkals were putting up great defense to make sure the Thais won't score. They also had more ball possessions at this point. 69': Thailand now only have 10 players after Adisak Kraisorn, who subbed for Kirati Keawsombut at the 22nd minute, got a red card. 84' Azkals' James Younghusband finally enters the game for Daisuke Sato. Still 0-0. And it ended that way. A draw: PHI 0-0 THA. Based on the stats, Philippines played better, with 3 goals on target, 55% possessions and not a single yellow nor red cards, whereas Thailand had only 1 goal on target, 45% possession, 1 yellow card and 1 red card. Thailand has never lost since the group stage, and this marks the first time that they played to a draw and scored nothing in this year's tournament. Same for the Philippine Azkals, though they already lost a game in the group stage. The 2nd leg of Thailand vs Philippines will be on Wednesday, December 10, 730PM, this time at Thailand's homecourt. The other semifinal match is between Malaysia and Vietnam, whose first leg is happening tomorrow.